Two turntables from the absolute top. Two different eras. One with a belt, the other with an idler. A unique comparison. The SME 30 received its “Best of the world” title at the latest when Michael Fremer praised it in the Stereophile article from 2003. The SME 30 is still regarded as one of the best turntables ever. Now in its third generation, the SME 30 entered the market in 1991. The changes over the years have meant modifications especially in the power supply. For example, from outside the current PS sports a slightly rounder front. The idler-driven EMT 930 used to be the first choice of professionals and broadcasters across the globe. The French broadcasting company had their own TT, Americans had their Rek-O-Boxes, Russcots and Spartas, the Britts their Garrard, but all other broadcasters around the globe trusted the EMT, which was also the choice of the BBC later. 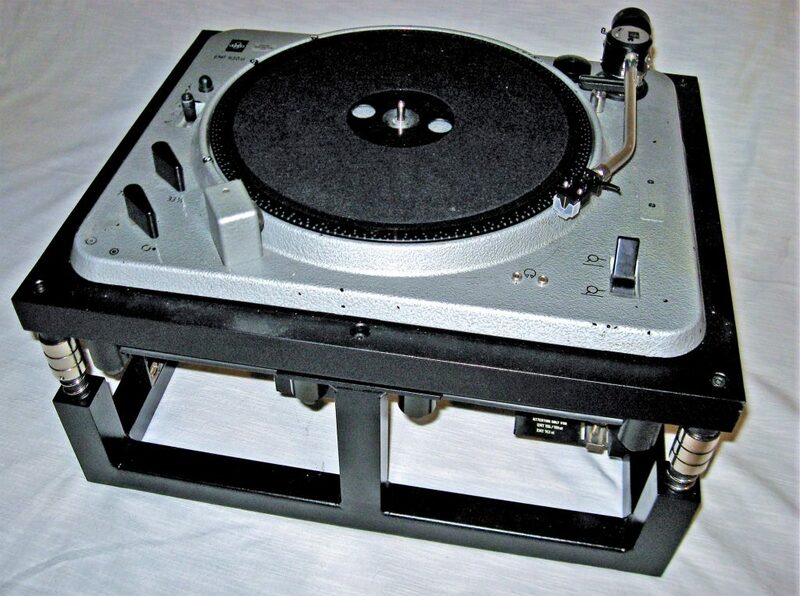 For long the EMT players were rather unknown turntables to the HiFi folks. EMT rarely advertised and when it did, only in professional journals. Even the wealthiest audiohiles couldn’t affort EMT turntables. The EMT 930 was launched first as a mono version in 1956 and the production went on until 1985, although its successor, the direct-drive 950, had replaced the 930 already in 1976. So here we are. Two masterful turntables. Not badly competing with each other, but rather teaching us about the differences between modern and vintage turntable sound. Both having their own merits. The belt-driven SME 30/2A is built like a tank. The same thing can, of course, be said about the EMT 930. Both players are made to withstand the ravages of time. The SME 30/2A weighs 42.5kg, of which the platter consumes 7kg, 17kg going for the 19mm thick sub-body, 16kg for the plinth with its turrets, and 2.5kg for the motor. SME’s always stressed the laws of physics: the more mass and the stiffer the body, the less it dwindles and vibrates. The figure shows the structure from top and front. In each corner a tower passes through the subframe, and from these towers hang the sub-chassis with the help of 48 rigid O-rings, twelve in each tower. The idea is brilliant since it allows the suspension to operate automatically on the vertical plane without giving too much room to move horizontally. The benefit of using O-rings is that they do not produce noise as could happen with the springs. The towers contain rigid fluid to prevent and slow down the movement, for which there’s not much space in the first place. The motor is attached to the main frame, and the spinning force is transmitted via the belt to the platter mounted on the sub-frame. The centralizing band pulls in the other direction with the same force as the belt pulls to the other. The counter force is also transmitted from the subframe to the main body. The platter bearing bin is 170.5 mm long and 19mm thick. The big idea behind the player is its suspension design, which is practically almost as stationary as any purely rigid structure. 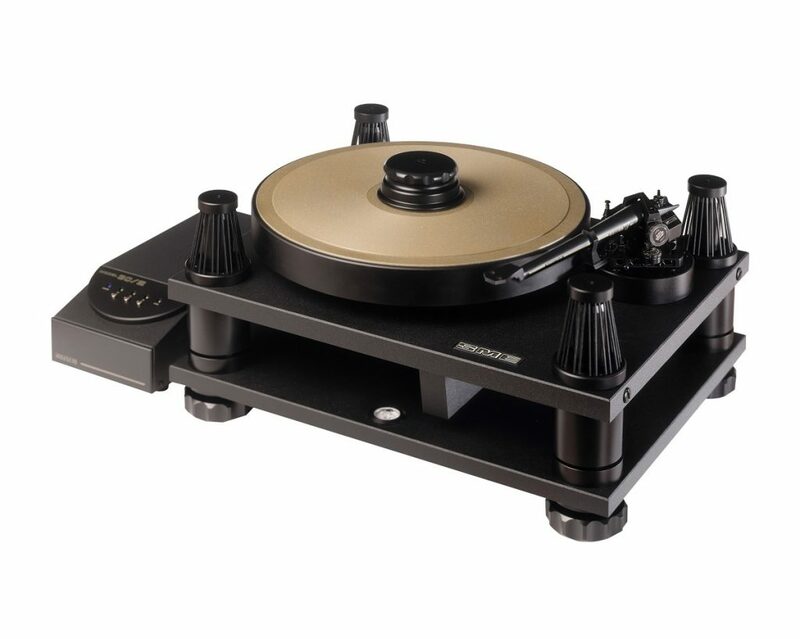 While the LP is playing, one can press one corner down, and it will not disturb the rotating platter, and when the corner is released, the cover plate will not vibrate or shake. All mechanical work in the SME 30 is perfect. Everything’s as tight as possible. No uneven distances between mechanical parts. The belt is underneath the platter. It is a pleasure to watch the SME 30 rotating a LP. The record is tightened to the platter with the clamp. Try to tap it, and it’s like built from one piece. The tonearm stays stable and does not spin up/down or sideways. The idler-driven EMT 930st weighs 23kg. The figure below reveals the structure of the 930 quite well. Operating it, the 12 kg platter (GP) rotates all the time and only the auxiliary platter (HP) stops during the record change with the brake. When the brake is released, the record is at the correct speed within 0.5 seconds. The spindle is firmly attached to the platter, and the so-called bearing shaft is of the same size as in the SME, only slightly bigger. EMT provides all sorts of measurement results in the accompanying manual, which is not surprising given that EMT also manufactured measurement instruments. (Stefano Pasini has commendably documented EMT’s impressive measurement practices in his excellent book Deutsche Perfektion.) The manual nicely reflects EMT’s self-awareness and professional self-confidence. The EMT 930 is a pure pleasure to use. Changing the record is handy and quick. The spotlight helps to spot where exactly the stylus needs to be placed. Tapping the spindle while the stylus is on the record will not cause any audible sound in either turntable. Instead, the SME clamp tights the record better to the platter than the mass clamp in the EMT. The stylus on a record, tapping the record causes less noise with the SME than with the EMT. The SME generates more static than the EMT. The SME 30/2 comes in an excellent wooden case with a handle on each side. It takes two people to carry the box as well as to lift the turntable base up from the box. The case contains all the necessary tools, the instructions are really clear. After one hour the turntable is ready for operation. The EMT 930 can only be acquired second-hand most probably without the original box. The heavy platter needs to be removed for transportation. 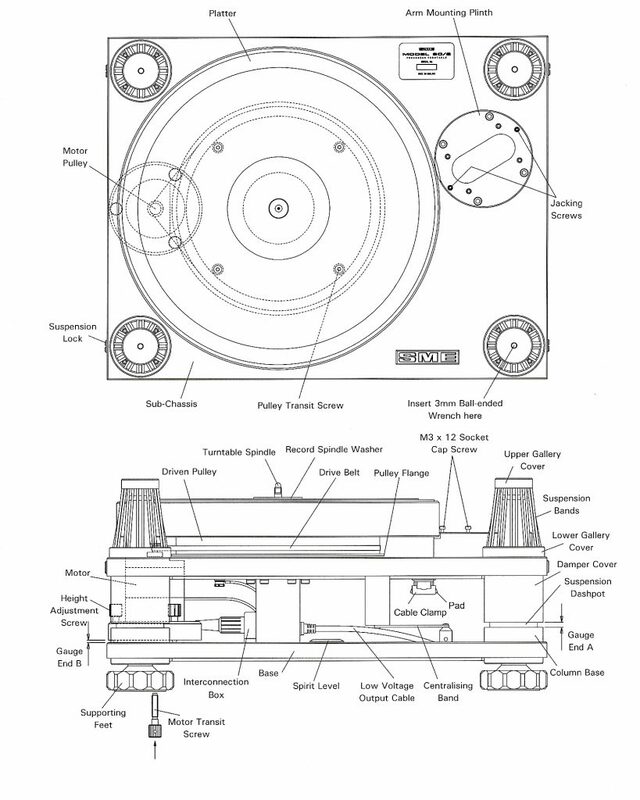 The listening system consisted of the straight flush of in-house Quads: Quad 22 preamp, Quad II monitors and Quad ESL-57 speakers with Gradient subwoofers and Fountek tape recorder. The EMT 930st has its own excellent RIAA tube preamp, the EMT 139st, but for the comparison I used the Quad 22’s RIAA for both players. 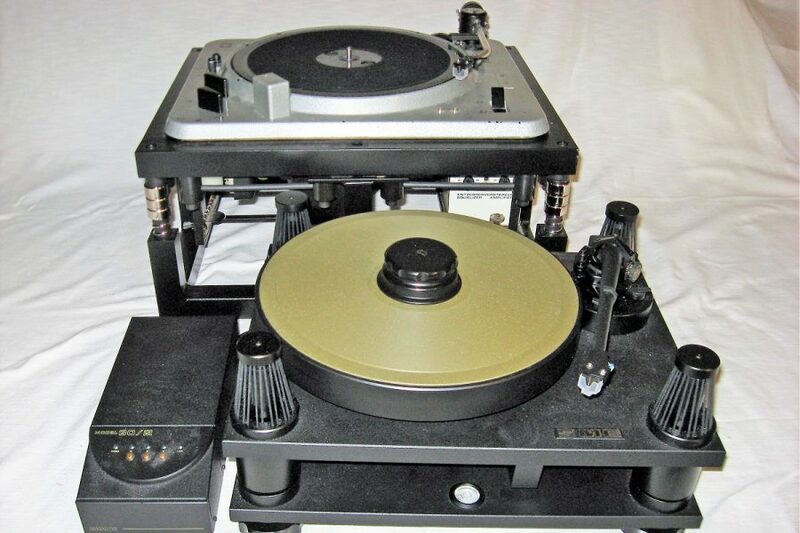 The tonearm of the SME was SME V “w/Gold Print and Details” from 2008, and in the EMT 930st the EMT 929 from 1978. The cartridge installed in both tonearms was Denon DL-301R. From the tonearms the signal went to the QUAD 22 phono stage via the Denon AU-320 step up transformer, which made it possible to switch from one player to another without delay. From the EMT 929 tonearm the signal was withdrawn straight with the help of the Quad Tape Adaptor and by soldering the excellent SME phono cable to it. BTW, the soldered Tape Adaptor-SME-RCA sounded better than the StudioTechnik Dusch arm cable with 7-pin RCA connectors. During the auditioning the SME was placed on a steel table, and the EMT, as always, on its own “Shockabsorber-Rahmen” support. 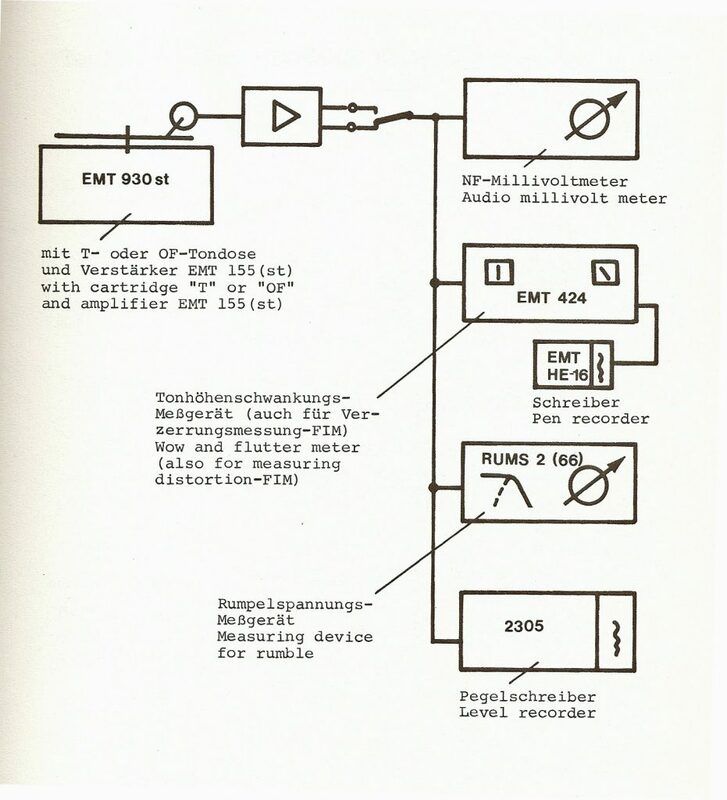 The EMT manual shows a schematic illustration of how their measuring devices are manufactured such that all required values are met. The graphic measurement shows the following deviations: 0.55 Hz = the record is eccentric; 2,775 Hz = the problem is in the idler; 12 Hz = the fault is in the motor. And how did they perform sonically? The SME 30/2 was just as good as I expected. The glowing reviews it received from Stereophile and The Absolute Sound were not unfounded. The background of the sound was pitch black, the bass performance was solid, the resolution was excellent, the sound stage wide enough. While listening, I had an impression as if I could get under the tones, so good was the SME 30/2’s ability to resolve musical details. From experience I knew that if the rotational speed is stable, the bass response is always better, and echoes of the sound longer. So it was here too. The essential difference, at this point, between the SME 30/2 and the EMT 930 could be crystallized as follows: the background of the sound is not as black in the EMT as it is in the SME. The reason probably lies in the fact that the EMT is not as well isolated as the SME. The EMT sounds more massive, but the SME’s sound is clearer due to the quieter background. One wonders how SME does it? The same record, the same step-up transformer, the same cartridges, but still the SME digs less noise from the groove. In one sonic respect, however, the EMT 930 is strong: in my personal case, listening to vinyls has exploded since I acquired my Garrard and EMT turntables. My belief is that the central technical reason for this is the idler-wheel and the rhythm it brings along to music. The EMT sounded a bit more congested. All is reproduced finely, but the sound is not in the same way wide open as with the SME. In one sonic respect, however, the EMT 930 is strong: the music swings and rocks! In my personal case, listening to vinyls has exploded since I acquired my Garrard and EMT turntables. My belief is that the central technical reason for this is the idler-wheel and the rhythm it brings along to music. But let’s go back a little. Many audio magazines make a point of the fact that, thanks to its new power supply, the SME has got more torque. Certainly that is the case, but everything’s relative. For me the torsion in the turntable is what happens when the EMT’s idler wheel connects the motor to the platter, and the whole 23 kg device jerks! On the other hand, that may also be considered as a weakness. The ratio between torsion and sound – the swing – can be shown by adjusting the EMT’s control capacitors and the resistor so that the torque is so small that the platter can be easily stopped by the finger. However, the speed of the rotation remains correct. This is the kind of sound I do not care about. Luxman’s belt/speed problems are, in a manner, part of the SME’s performance. At startup, one can hear how the belt slips. With my finger I deliberately slammed the platter a little, and the locking light did not react until I let the platter go again, when it flicked a few times. The EMT 930st sports a strobo. When a heavy clamp is placed on the platter, the strobo shows how the speed slightly swings, even though the player has torque like in a small village. In a word, the SME 30/2 is better at resolution, its soundstage is deeper and many other qualities of the sound are fine, but the EMT 930st is rhythmically more convincing and amusing. The weakness of the EMT are the vibrations caused by the unbridled torque, and the fact that the third phase of the motor must be adjusted every three years or so in order to avoid extra noise. 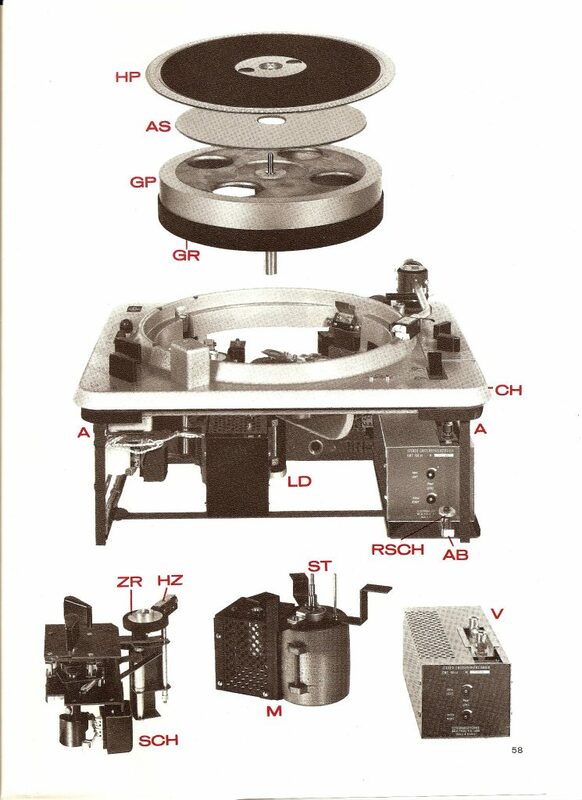 On the other hand, in the Stereo Sound article from 1980, the EMT 930 was chosen as the best turntable, even though the individual in question was a broadcasting tool, and had poor rumble values. 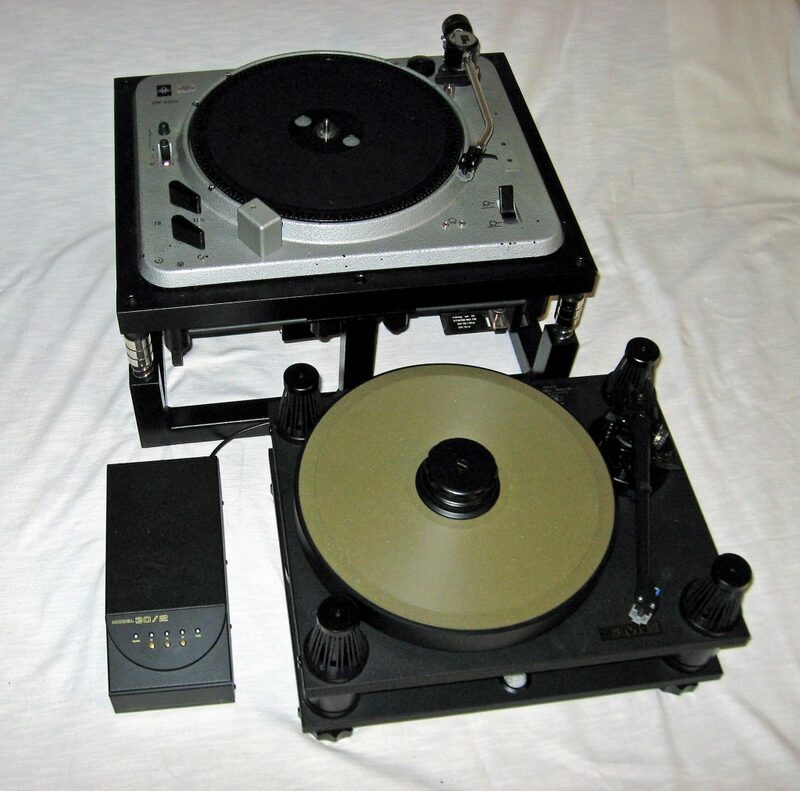 Summing then: both turntables are so great that I could easily live with either of them rest of my life (today I’ve got the EMT 927). The differences reflect more matters of taste and appreciation than the betterness. So many factors affect the final sound quality retrieved from a turntable. It tells a lot of the nature of this comparison that it seemed to be always the turntable I was listening to that sounded clearly better than the rivaling player!